Latisse, made by the creators of Botox, is the first prescription treatment approved by the FDA for hypotrichosis (inadequate eyelashes) used to grow eyelashes, making them longer, thicker and darker. It is generally believed to work by increasing the percentage of eyelash development during the eyelash growth phase. Latisse brings about significant, noticeable eyelash growth after about a month of daily use, though the new hairs are finer than original hairs and results are only temporary – hair grows only during eyelash enhancement treatment. Alluring, long eyelashes add beauty and youth to your eye. They provide aesthetic symmetry to the face, which people are wired to appreciate. However, their function is more than cosmetic; eyelashes also protect the eye from dust, debris, and dust mites. If your lashes are thin or inadequate, eyelash enhancement therapy might be what you need to prevent eye irritation. 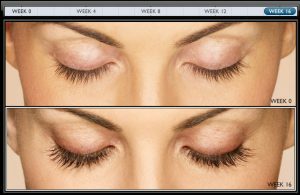 If you are generally unhappy with your eyelashes, Latisse may be for you. If you aren’t satisfied with the color, length or maybe you even use fake eyelashes every now and again, you may want to talk to our doctors about trying Latisse. Eyebrows offer aesthetic and practical functions. Cosmetically, they provide symmetry to the face and enhance your eyes and face. Their preventative qualities include blocking sweat, water, dirt, and other debris from falling into the eye socket and/or eye itself. Nearly as important are the functions of eyebrows in communication and self-expression, as without your eyebrows, you wouldn’t be able to communicate well non-verbally. While it is possible to apply eyebrows with makeup, eyebrow enhancement therapy can help restore the natural look at feel of full eyebrows. Have you ever wondered why your eyebrows or eyelashes are thinning? Let’s take a look at common non-medical and medical causes. Over-Plucking – You probably tweeze your eyebrows because it’s a faster, longer-lasting way to groom them. However, you should know that growing one eyebrow hair could take six weeks to grow back. As such, over-plucking is a very common cause of eyebrow hair loss. Other possible side effects of frequent plucking are ingrown hairs, the risk of infection, and damage to your follicles. So, pluck carefully. Nutrient Deficiency – If your diet is not generally made up of nutritious foods, this can limit your eyebrow or eyelash growth. Be sure to eat foods that are high in zinc, iron, protein, vitamin D, vitamin B12, and vitamin B7, all of which are known to activate hair growth, repair hair, and hair cells, and strengthen and hydrate hair, which includes eyelashes and eyebrows. Aging – Just as it affects the hair on your head, getting older affects your eyebrow and eyelash growth. Prevent the signs of aging in your eyebrows by going easy on eyebrow makeup, avoiding excess heat, reducing your stress, and keeping your skin hydrated. Hypothyroidism – Commonly caused by iodine deficiency, hypothyroidism means that your thyroid is not producing enough hormones to regulate various functions in your body. One effect of this is losing hair, even in your eyebrows and eyelashes. Atopic Dermatitis (Eczema) – Atopic dermatitis, or eczema, is an inflammation of your skin that could hinder eyelash or eyebrow growth. If you notice the skin around your brows is red, or if you start having persistent itchiness, consult a dermatologist at Cosmetic Laser Dermatology. Alopecia Areata – A rare autoimmune condition that causes partial or total hair loss on parts or all of your entire body, this doesn’t often cause eyebrow or eyelash hair loss, but if you notice sudden bald spots on your scalp, see your specialist. The cost of Latisse depends on where you get it and any special promotions that we may be running or ones sponsored by the manufacturer (Allergan). 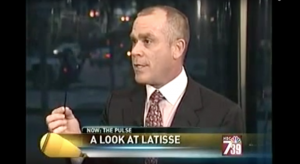 Latisse is only available by prescription so you can’t get it anywhere else except for a doctors office. When you register for a Brilliant Distinctions account, you can earn points and savings on Latisse treatments! Visit latisse.com for more information about pricing and Brilliant Distinctions. Rogaine, specifically strengthened with 5% Minoxidil, is designed to prevent hair loss. If you apply it twice a day, you get noticeable results in approximately six months. Aside from the above common, well-known eyebrow and eyelash enhancement serums, there are other products on the market that work well. These use a combination of peptides, vitamins, minerals, and botanical extracts to promote the growth of healthy hair and hydrate your eyebrow and eyelash follicles. See your Cosmetic Laser Dermatology specialist for more information about which of these growth serums might work best for your eyebrow and eyelash enhancement needs. Latisse is a very simple procedure. The treatment is applied directly to the eyelashes, once a day. An applicator is supplied for each day of the month when you purchase the product. Each day you are supposed to use a new sterile applicator. 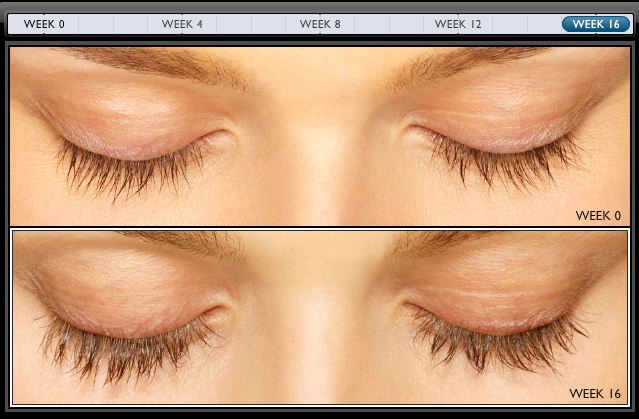 After a month, you’ll notice longer, thicker, and more beautiful eyelashes! During an eyelash enhancement procedure, you might feel a stinging or tingling sensation when the numbing agent is applied. Downtime is virtually nothing, though you may experience minimal side effects, such as swelling around the eyes for the first 24-72 hours. In addition to swelling, you might experience scabbing at the follicle site of your eyebrow or eyelash that could last a week. You could also feel a mild itching or burning on the back of your scalp or neck where the hairs were taken as if it were a mild sunburn, which you can easily manage with topical creams or lotions. A: Once your lashes have grown to an ideal length, usually, in about three to four months, you can start using the treatment every other day for lash maintenance. This will help ensure that your lashes stay thick, healthy, and beautiful. A: Yes, you can wear mascara since Latisse is not a replacement for mascara, but is a treatment for inadequate lashes. Using Latisse in combination with mascara can make lashes appear even longer and thicker. Q: Who is not a good candidate for this treatment?